Exposed aggregate is a style of concrete used in Australia mainly for driveways, but sometimes also for sidewalks, patios and swimming pools. 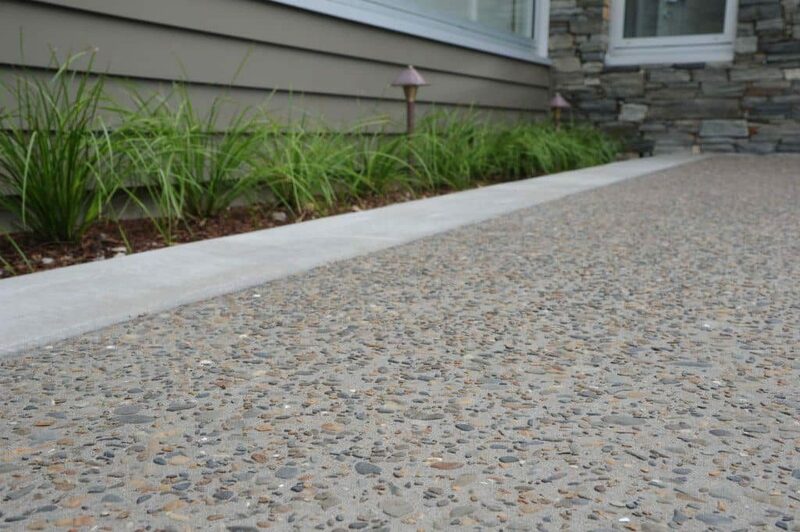 The unique appeal of exposed aggregate concrete is in its finish – exposing the small stones (pebbles) that are part of the concrete. This creates random patterns and a variety of colors. Exposed aggregate concrete is pre-mixed with the pebbles already in it. Once the concrete has been poured and allowed to settle, the concreters need to skill fully remove the upper layer from the top to reveal the stones. The pebbles (also called aggregates, hence the name exposed aggregate concrete) are of varying sizes and colors to create a natural effect, gives the driveway special depth of color and texture. Building a concrete driveway in Perth with exposed aggregate concrete is a skilled job, especially if the desired finish is to be achieved and future cracks avoided. We strongly recommend using an experienced professional for all work with exposed aggregate concrete. Driveways built of exposed aggregate concrete are exceptionally long-lasting (as long as they are professionally applied, of course). The stones (aggregate) significantly increase the strength of exposed aggregate concrete, compared to standard concrete (being a mix of cement and sand). So when it comes to durability, exposed aggregate is second to none. Additional advantages of exposed aggregate concrete include slip resistance and ability to sustain the heaviest use. Unlike with the monolithic technique, with the overlay exposed aggregate technique you do not create a new concrete structure, but instead you resurface an existing one. Here the aggregates are mixed into small batches of concrete, which are then spread over the top of a structurally sound concrete surface (such as driveway). Whether using the monolithic or overlay technique, a chemical retarder is essential for ensuring that your aggregates stick out of the hardened concrete, providing that textural look. After pouring and leveling exposed aggregate concrete, the retarder must be sprayed over all of the surfaces to be exposed. The retarder will keep the surface layers of the concrete soft while the layers below it harden. Caution: chemical retarders are highly caustic, and misuse can result in the formation of irregular patterns and holes – it is strongly recommended to use an experienced professional for all work with chemical retarders and exposed aggregate concrete. After applying the chemical retarder, the top layer of concrete needs to be gently scrubbed away to expose the aggregates (pebbles). 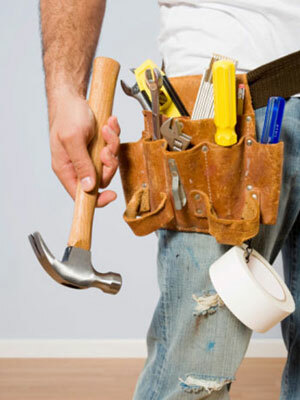 This is a skilful job – the timing and strength must be just perfect. Scrubbing too soft (or too late) will result in slippery and visually unattractive surface; while when scrubbing too hard (or too early) the concrete might not retain enough strength to keep the aggregates stuck in place. Another alternative to using the monolithic or overlay techniques for installing exposed aggregates is the seeding technique. Here the aggregates are not mixed into the concrete prior to pouring it- instead, the aggregates are sprinkled on top of the concrete as it is hardening. This technique, while popular with DIY exposed aggregate concreters, is not used by professionals due to its lack of reliability and poor durability of the resulting exposed aggregate concrete.